Putting INTEGRITY back into Lending ONE loan at a time! Founded and based in Texas, GFM has served the Lone Star State exclusively since 2005. Our core business philosophy is revolutionizing how customers get mortgage loans with a rare combination of GREAT Service and Low Rates. Unlike traditional lending our Loan Advisors are not compensated by the rates or fees charged on loans. They are solely based on loan closings and customer satisfaction reviews. This approach allows your Loan Advisor to focus on your specific needs and insure you get the "RIGHT" loan and not just "A" loan. We are a pricing leader within the industry which simply means we have the BEST RATES and NO LENDER FEES on most loans. On top of great rates we strive to deliver a 5 STAR Lending Experience on every loan we do. We're experts on providing mortgage solutions on all residential Texas Properties. We take pride in being a Texas based lender that specializes in knowing all the special regulatory licensing requirements related to purchases, home equity and refinance loans which Texas has, and that many national lenders are unlicensed or unqualified to provide. GFM is Rated A+ with the BBB and has been an Accredited Business Partner since 2005.  We are also an APPROVED Lender on Lending Tree's Lender Network and maintain a 100% Client Satisfaction Rating. We understand that it's not just a house, it's your "HOME", and your Loan Consultant will take the time upfront to understand your financial needs and propose a program that will accomplish those specific financial goals. This is very different from the assembly line approach that most national lenders take to working your mortgage. Doing this with each and every customer insures quality and loan integrity for all of our clients. Whether you are refinancing or a First Time Home buyer, GFM offers’ an extensive array of loan products ranging from Conventional, FHA, VA, Jumbo and Texas Cash Out Loans, all at the Lowest rates and cost available but still delivered with the highest level of customer service. GFM’s mission is to provide the highest quality of Service and Integrity to all of the communities and clients we serve in Texas. The REAL TRUTH about responsible mortgage lending!  Getting a mortgage loan is a privilege in our great country for those who have earned that Right and it should be treated as such. The first thing anyone trying to buy or refinance a home should know is that the lending environment has changed dramatically in the last decade. New rules, Federal Regulations, lending guidelines and overall loan scrutiny have changed at a pace that is very difficult to keep up with, let alone expect a customer to know how to navigate efficiently. Getting a loan is more of a complex process than ever before so as a potential client we like to let our customers know this upfront. That's where we come in. The biggest single complaint that we hear as an industry is, "Why the need for all the documentation." The answer is simple. To ensure the Integrity of the lending process for every American asking to borrower funds from Fannie Mae, Freddie Mac, FHA, VA and USDA. Customers that have not tried to get a loan in recent years don't know what it's really like to apply for financing in this new environment but those who have know all to well. Even good customer's get denied if they can't supply the adequate documentation Underwriters require for loan approval regardless of credit score, liquid assets or overall loan risk. Lending laws now require that everyone in the loan transaction be accountable to some degree for that loan and that is why the loans come under more scrutiny. Everything from verifying your tax returns with the IRS to explaining erroneous deposits on your bank statements will get reviewed, and while this may seem invasive as a customer at times, the process is truly set up to protect the very asset you are trying to get a loan for. If you read any article today on what it takes to make getting a loan easier they all have one resounding theme and that is...Just get what the lender is asking for and don't ask WHY! This view of getting a mortgage approval will vastly improve your lending expectations and overall lending experience which is important to us. Some loans are going to be easier than others obviously to approve and not require as much documentation, but even the easy ones have issues the borrowers aren't aware of and those issues will come up during the lenders due diligence almost guaranteed. No real way to get around it these days but with these thoughts in mind, our loan officers truly try to educate you in advance of your loan submission in order to mitigate any delays or potential pitfalls that may arise. If you take their advice and let them use their vast knowledge of what it takes to get a smooth loan approval secured on your behalf, we can almost guarantee you will not just get a great loan with GFM but also have a GREAT lending experience as well. GFM is a RESPONSIBLE mortgage lender and strive to that end on every loan we assist our clients with. It's an exciting time in the home buying market right now with rates still near all time low's you can by the home of your dreams at a lower cost. GFM offers all types of financing for new home purchases. Whether you want to put 20% down or do an FHA loan with as little as 3.5% down we can help. GFM proudly offers VA loans with 100% Financing for all eligible Veterans. We can show you options for your specific situation and customize a loan solution that works for you. Everything from how to eliminate PMI without putting 20% down to getting Jumbo loan financing. If you need to be Pre-Qualified we can HELP! It only takes a few minutes and you can speak to a LIVE Loan Advisor every time you call. GFM does not outsource any of it's customer service or Loan Origination capabilities. It can be a big step to buy a new home or refinance your current mortgage. You can trust us to lead you to the loan program that's best for you. Our team of Texas based mortgage experts are eager to help you with this big financial decision. For assistance in selecting the perfect program for your situation, CALL US toll free at 866-334-0566. Rates are still at ALL TIME LOW's but won't stay there for long. If you missed your opportunity up to this point don't delay as you could be losing hundreds of dollars a month and tens of thousands over the life of your loan. DEBT CONSOLIDATION in Texas is becoming a very exciting mortgage option again due to home values improving. The recession has burdened many homeowners with additional credit card debt or other bills and a DEBT CONSOLIDATION loan can be a great option to not only save money each month but to eliminate the debt completely. Let us show you a headache-free process from application to closing with our more personalized approach to lending. We can walk you through the process and insure your loan HELPS to reduce your interest rate and monthly payment. We can additionally help you pay down your balance faster for a comparable monthly payment. Let our mortgage experts guide you to the ideal refinance loan! We look forward to getting you started: CALL TODAY at 866-334-0566. GFM was just selected #5 out of 250 National lenders on the Lending Tree Network based on Customer Satisfaction Reviews. We treat you with the respect due a valued customer and give you the individual attention you deserve. Our REAL customer testimonials detail their personal lending experiences with GFM and we strive for a 5 STAR CUSTOMER SATISFACTION review on each and every loan we close. Since there are so many variables and moving parts to mortgage loans these days, there is always a possibility for unforeseen complications. At GFM we strive to mitigate those situations whenever possible for our clients based on our knowledge and experience in providing quality loans. We know the big commitment you are making in buying a new home, refinancing a mortgage, or tapping into your equity. So we make this commitment to you: WE can help you understand the process, apply and be approved for the perfect mortgage loan for you. CALL TODAY at 866-334-0566.